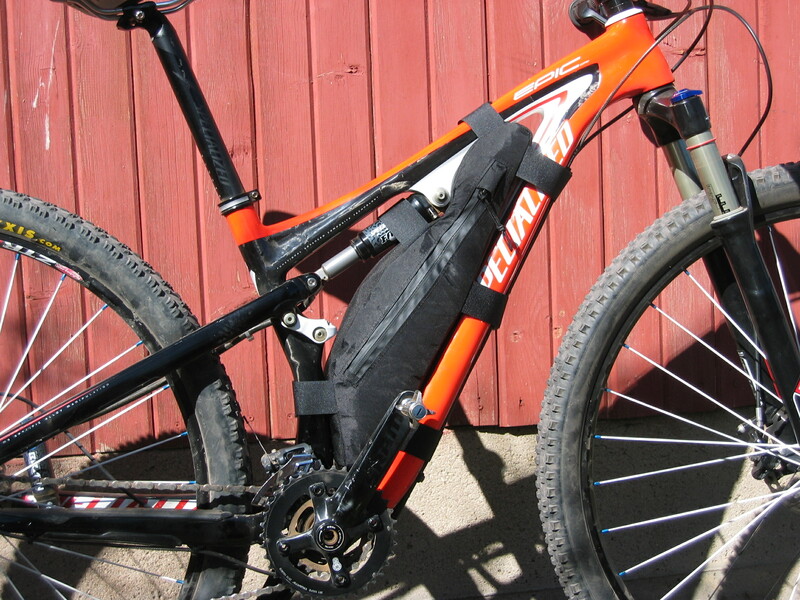 Rugged lightweight bikepacking gear for racers and adventurers. 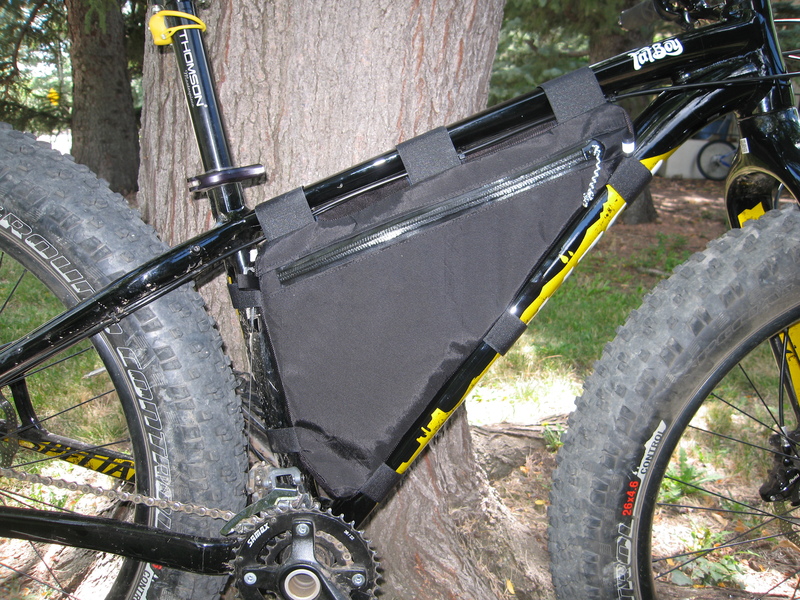 The framepacks I make are custom designed for your bike and bikepacking requirements. 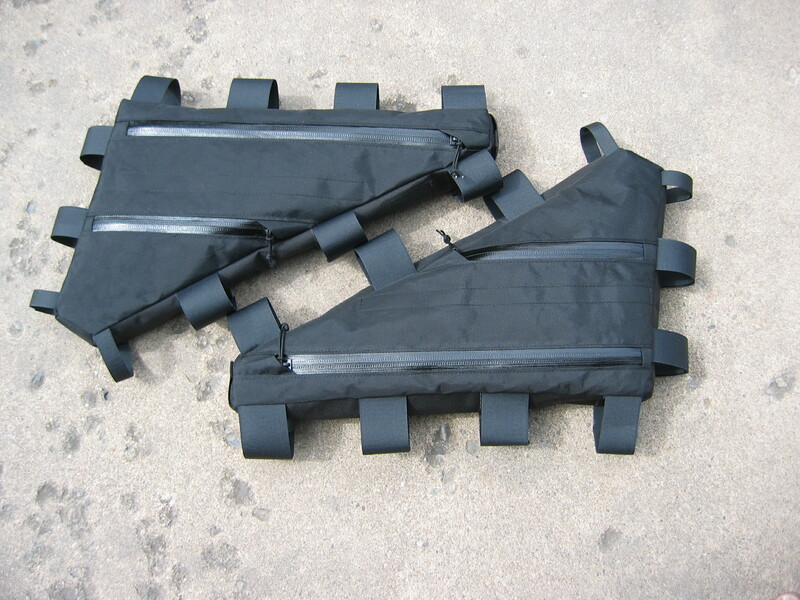 The larger models are typically made from Dimension Polyant VX 42 and the points which contact the frame are reinforced with Ballistic nylon to prevent abrasion and insure long life. 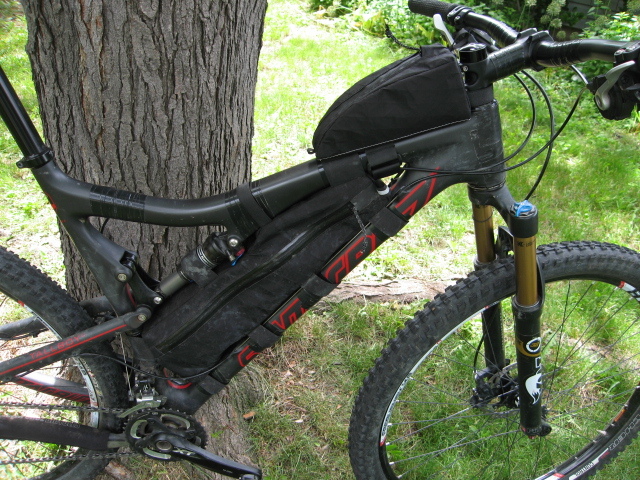 Lighter VX 21 is used for smaller packs and those designed for full suspension frames. 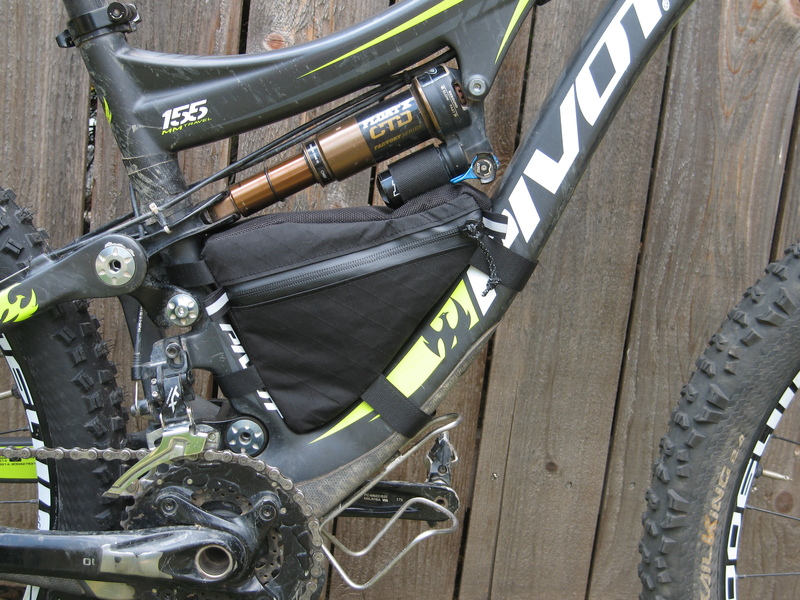 Durable water-resistant number 10 zippers provide access to the main compartment openings and number 8’s for the optional map pockets. 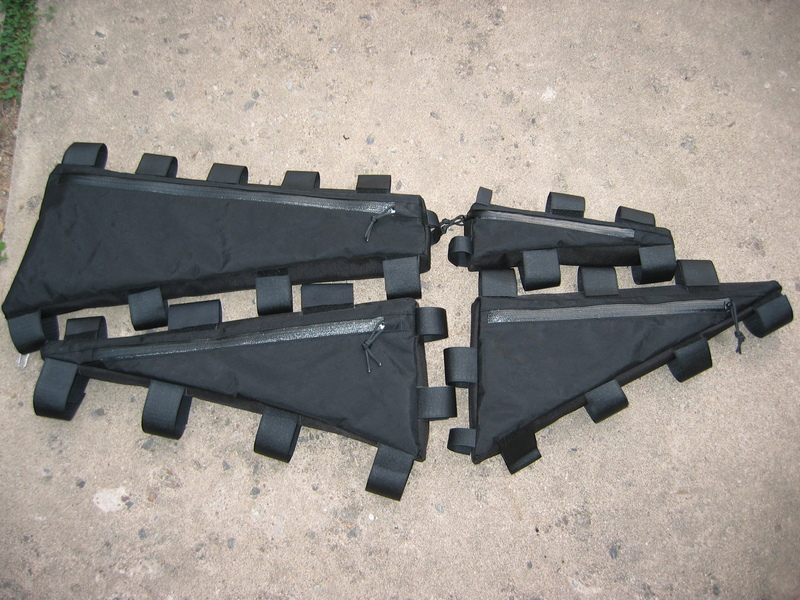 Milspec velcro is used to securely attach the pack to the frame. 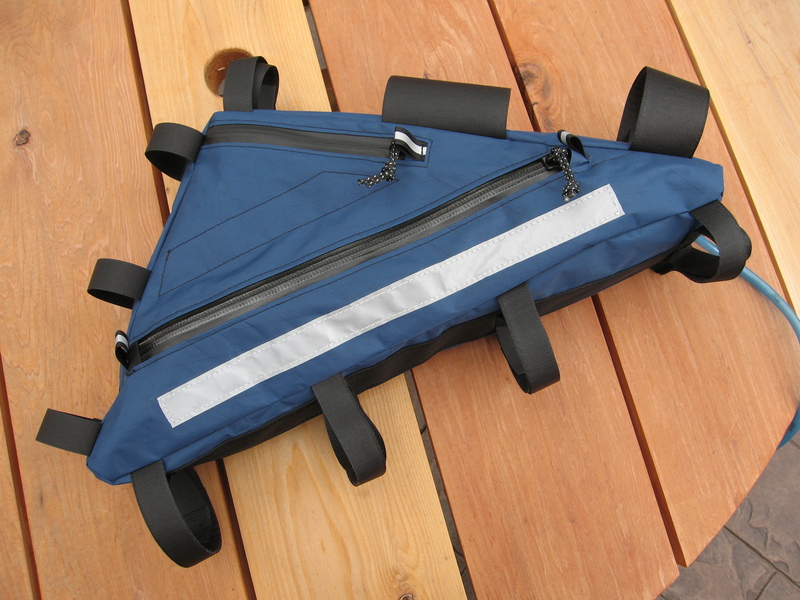 The packs can be built with a variety of custom features such as drinking ports, divided compartments, and internal pockets if needed. 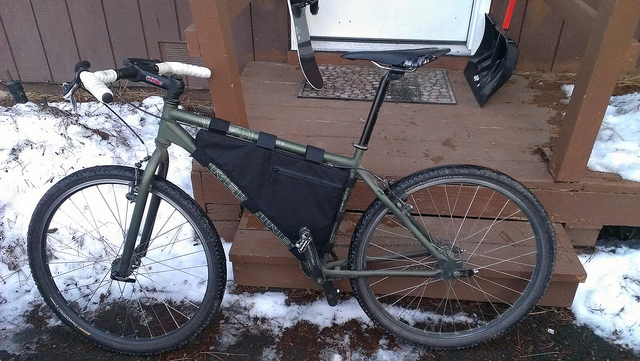 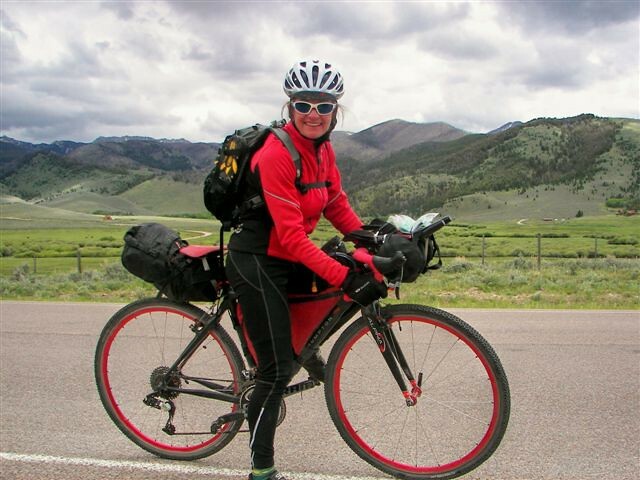 Two piece system made for a rider who attempted the Tour Divide on a cyclecross bike. 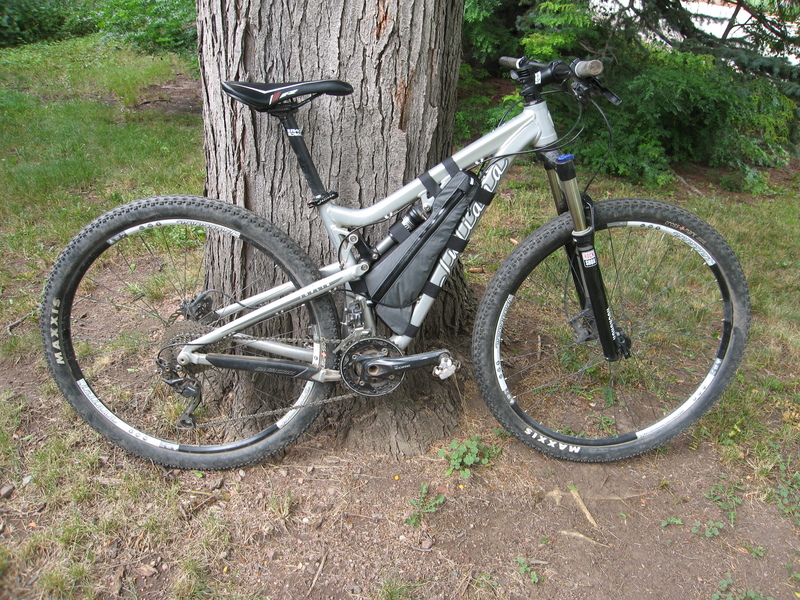 The split design allowed her to slide her arm in between the two packs and shoulder the bike when the trail was unridable. 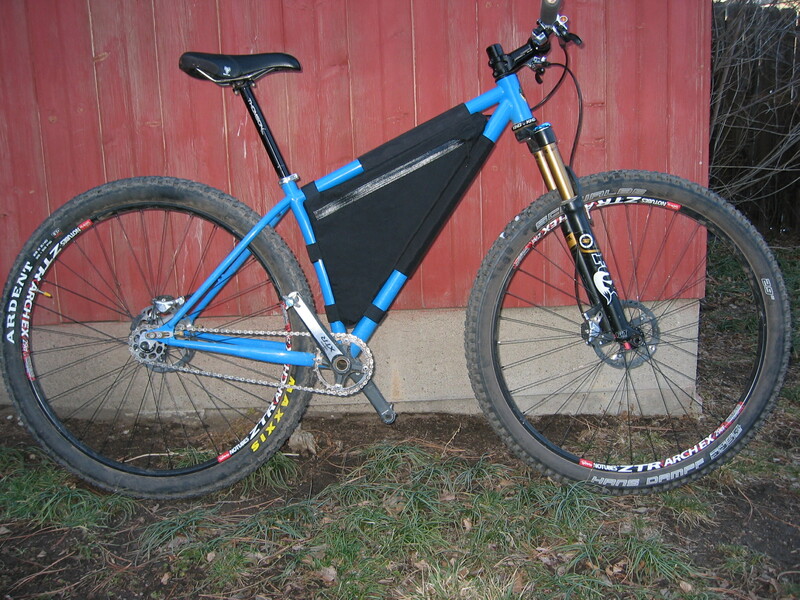 Small custom pack for a Pivot with limited space in the triangle. 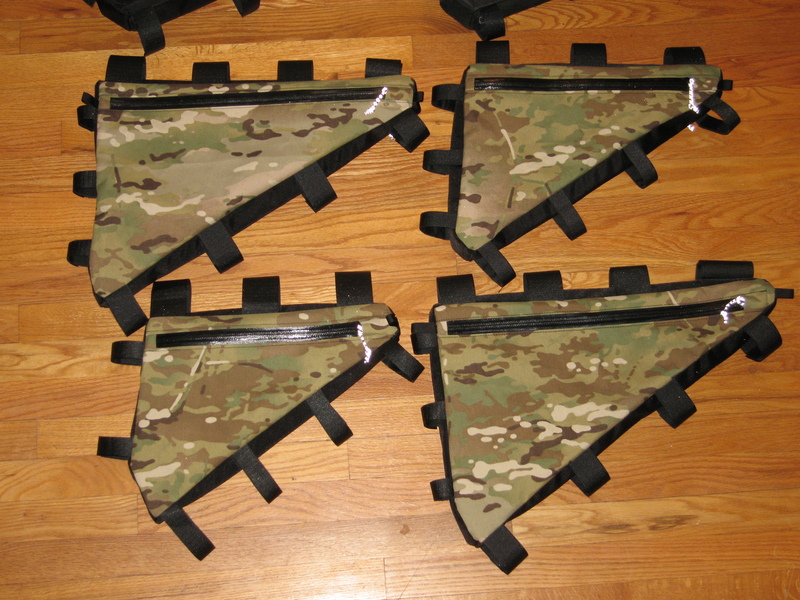 Prices start at $75 and are dependent upon the size of the bag and the complexity of the design.